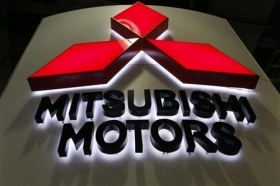 Europe was Mitsubishi Motors Corp.’s most profitable region in the company's fiscal first quarter ended June 30, the company said. Europe’s operating profit of 12.6 billion yen ($124.3 million) nearly tripled from the year-earlier period, as revenues soared 73 percent to $1.45 billion. Unit sales in the automaker's European markets rose 11 percent, led by the launch of the Outlander plug-in hybrid. Mitsubishi’s operating loss in North America narrowed by $1 million to $21.7 million in the quarter, as revenues rose 8 percent to $471.4 million. Overall, Mitsubishi’s net income in the quarter surged 71 percent to $277.7 million, as revenues jumped 25 percent to $5.07 billion. Operating income soared 93 percent to $305.3 million. The automaker said an improved model mix, cost cuts and favorable foreign exchange rates contributed to the profit increase. The biggest contributors to the $147.2 million increase in operating profit, for example, were an $81.9 million currency gain, a $64.1 million improvement in volume and mix, and a $34.5 million gain on lower raw material costs and other cost reductions. Those gains were partially offset by a $37.5 million increase in indirect labor costs as well as reduced parts sales. For the full fiscal year that began April 1, Mitsubishi predicts net income will rise 5 percent over the previous year to $1.08 billion, on a 10 percent gain in revenues to $22.68 billion, with operating income of $1.33 billion, up 9 percent. In Europe, Mitsubishi expects net income for the full fiscal year to rise 29 percent to $473.4 million, on a 14 percent rise in revenues, to $5.42 billion. That will make Europe the company’s highest-revenue region, ahead of Asia outside of Japan, where revenues are predicted to be $5.33 billion, up 30 percent. In Japan, revenues are forecast to rise 5 percent to $4.93 billion, producing operating profits of $29.6 million, nearly tripling from the prior year. Mitsubishi also predicts North America will achieve breakeven this fiscal year, vs. a year-earlier loss of $37.5 million.